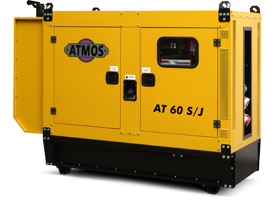 Used alternators have minimal requests for maintenance, garantee stable power delivery and respond quickly to power consumption. Our range consists of AT / A (open version, on frame) or AT / S which are full canopy version from 3.5 up to 2000kvA. The undercarriage could be added on request.